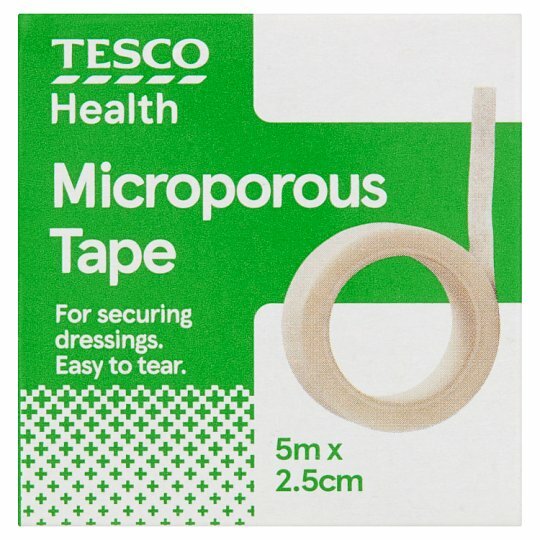 Tesco Health Microporous Tape can be used to secure dressings, is flexible and breathable to aid healing. This product uses a low allergy, latex free adhesive and is kind to skin. For securing dressings. Easy to tear. Clean and dry wound and surrounding area. Cut tape to desired length. Apply dressing and secure with tape. Change the dressing as required, at least daily.